Nurses all too often leave the profession within 3 to 5 years after graduation. This creates a huge problem in a profession that continues to be affected by significant shortages. The most common underlying reason for leaving is dissatisfaction or disillusionment with the role they have chosen, and quitting seems to be the only option. Nurses are continually honored as the most ethical and honest professionals and this distinction also drives nurses towards a strong sense of loyalty to their role. They don’t always take the opportunity to explore other job opportunities in nursing and grow weary of a job that leaves them wishing for more. There are so many roles for nurses it’s almost impossible to count or list them all. Nursing schools do their best to provide students with the opportunity to explore and experience as many roles as possible to provide a well-rounded vision into the nursing profession. However, there are too many to explore. Students almost always fall in love with a particular clinical rotation and feel certain that’s where they want to work. Then along comes the next rotation and they fall in love all over again. By the time they graduate, some new nurses are confused and insecure about which role to choose. Job opportunities can also be limited for new grad nurses and they all too often find themselves settling in to what is offered to them and then, over time feeling stuck. The field of nursing is far too exciting and diverse for anyone to ever feel stuck, but that loyalty label tacks many to the wall. They stick to a role until they burn out. It’s easy to get stuck and not develop the skills and knowledge base needed to move into another job. One of the best and easiest ways to explore other job opportunities in nursing is through continuing education. CE courses offer this view into other job opportunities in a variety of ways including courses specifically aimed at exploring roles for nurses as well as understanding the basics of rules and regulations for certain roles such as home health or hospice nursing. Sometimes it’s a lagging skill set/knowledgebase that seems to hold the nurse back such as a thorough understanding of EKG’s or acid/base balance, or pain management. There are huge varieties of CE courses that offer basic as well as advanced information on these topics. Nurses often become bloggers, podcasters and authors to help share the love for, and information about their roles in nursing and the job opportunities available in their field. By exploring what’s been written about the role(s), nurses should be able to determine some of the aspects available for CE in that nursing field. For instance, nurses who just want to get an interview in home health care are being told they must have an understanding of the OASIS (Outcome and Assessment Information Set) prior to making inquiries or applications. The OASIS is a unique data set of clinical, social and functional status information about a patient at specific points in the home health care process. Reimbursement is dependent upon accurate answers and knowing which answer best suits a situation and why. It’s time consuming initially, but not complicated. However, the OASIS learning curve can be too steep for smaller home health agencies to devote a lot of time to educating new staff. So, nurses are left to learning the OASIS through CE courses and outside education. In some fields, nurses also need to know how to prioritize and code illness and medical conditions as part of their job. Using ICD-10 and CPT codes might be an integral part of some nursing jobs. Again, this is something home health care nurses may or may not need to be proficient at, but it also comes in to play in many other nursing jobs as well. Working in a clinic or medical office setting, the nurse may need to have a working knowledge of these codes to facilitate or interpret insurance coverage for patient testing and treatment options the physician orders. Nurses are often responsible for educating patients about their conditions and care options as well as helping them to navigate the healthcare system. The type and scope of documentation varies greatly from one aspect of nursing to another. Understanding accepted abbreviations and acronyms is one very important area of expertise. It facilitates communication as well as evidence of care and outcomes for patients. Documentation is also a recording of legal information about the patient, treatments and outcomes as well as evidence of medical necessity for reimbursement. Documenting Measurable Gains isn’t rocket science, but it can be a challenge for some nurses. In hospice care, the documentation has to support the trajectory of decline due to a terminal illness. In this case it’s about documenting Measurable Declines. This is necessary to certify the patient meets hospice criteria at the start of care as well as at specific points for recertification. Negative charting is not easy to learn because for all other aspects of care, the expectation is that the patient will improve or at the least plateau at an acceptable level. There are CE courses in documentation for nurses. Wound care is a vast field of nursing unto itself. The need is so great that nurses can now obtain CE and become certified in a short time without always obtaining a Wound Ostomy Continence Nurse. Of course, the level of training is not as advanced as the WOCN, but it does open doors to those wishing to move in that direction of nursing care and helps to fill a significant need in patient care. When there are so many different job opportunities for nurses all over the country and world there’s simply no need to feel stuck or to leave the nursing profession. 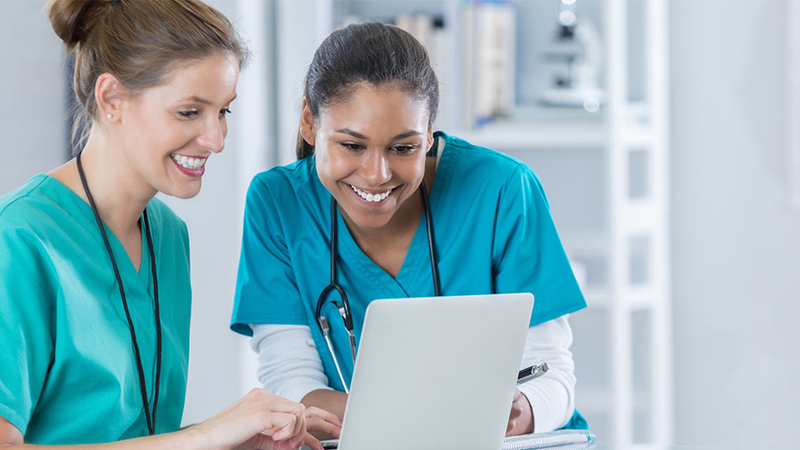 Continuing education courses for nurses are just the first step to opening doors and seeing even the smallest glimpse of the possibilities to find a new field and true job satisfaction.